We have broken out our key products with their own websites. 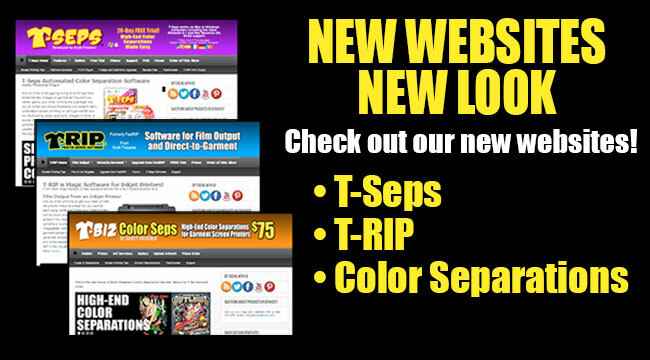 T-Seps, T-RIP and our Color Separation service now have all new websites. This will make is easier to read and learn about these key products and to get more information. 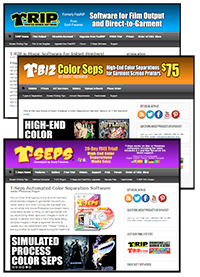 And, you can see that we have updated our T-Biz Network website too! Previous articleJust what you need. A $170 T-Shirt to help your posture.